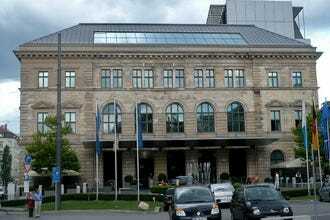 This is without question the best known high-end hotel in town. Its reputation for celebrity guests and high rollers has been hard earned as it is not part of any greater chain and is still family owned since 1897. 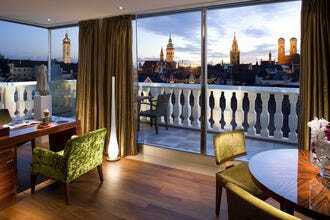 The Bayerischer Hof has a rooftop pool with an excellent view of Munich's cathedral and the city center.There are several restaurants and bars within the building which offer guests a wide range options from laid back lounges to a live music club. Its location directly at the former salt market and only a few steps from Marienplatz is ideal as it is quiet, but just a stone's throw from the action of the beer halls and main sights. 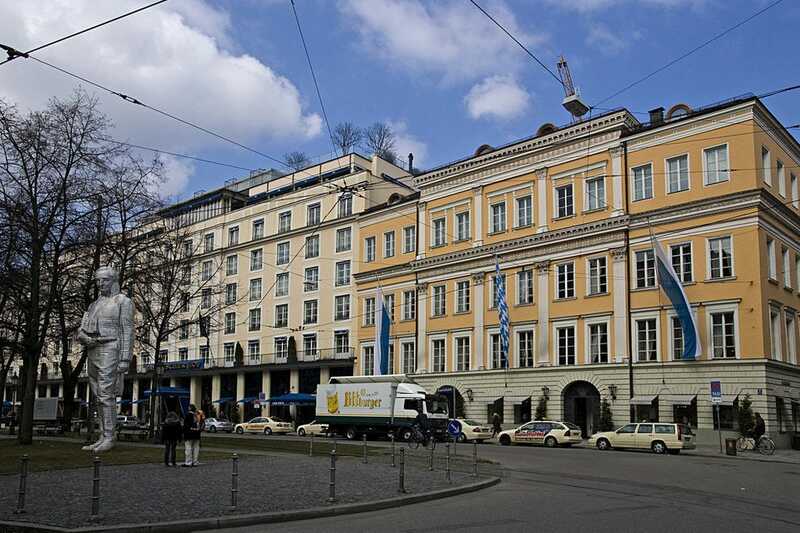 Recommended as Best Hotels Because: The Bayerischer Hof is without any doubt the hotel best known for the elite visiting Munich. The best of everything can be found here.